Most people who travel to Medellin, Colombia don’t have a clue that alcoholic drinks here are extremely unique. The way people drink is a bit different from other places, too. I would have to say that’s pretty much because of the culture. When you go out to clubs or bars in Medellin, the most likely outcome is that you will end up drunker than you have ever been in your life. Don’t take my word for it, though! Ask any foreigner who has gone out drinking while living in Medellin without first asking what to expect. 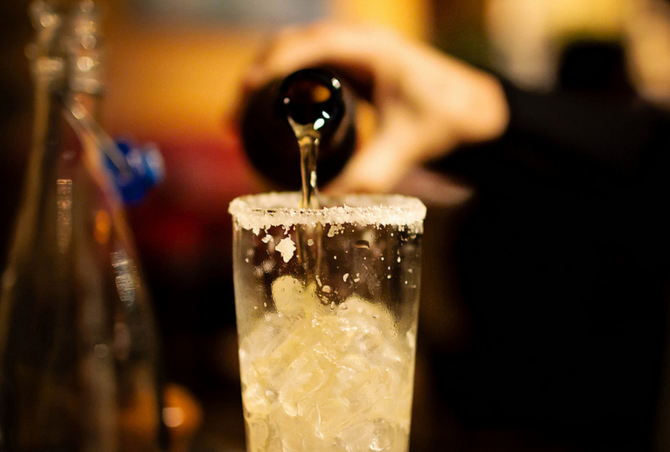 Here are a few drinks you can expect to encounter in Medellin. One of the weirdest drinks in Medellin (and now my favorite) is called the “Michelada.” I had some horrible experiences drinking beer in the U.S., so before I came to Medellin, I swore I would never drink beer again. Boy, was I wrong. After discovering this unique drink, I decided I would give beer another chance. The concept behind the michelada is pretty simple; it’s basically any beer you want, served in a glass where the rim is coated with lemon and salt. I never thought this would taste so great! Depending on where you go, prices can vary. I’ve bought Micheladas in Medellin from 2000 Cop (Colombian pesos) all the way up to 15,000 Cop–it all depends on the brand of beer and the bar or club you will be drinking at. This drink is one of the reasons I think everyone should be renting an apartment in Medellin! You can get them everywhere here. 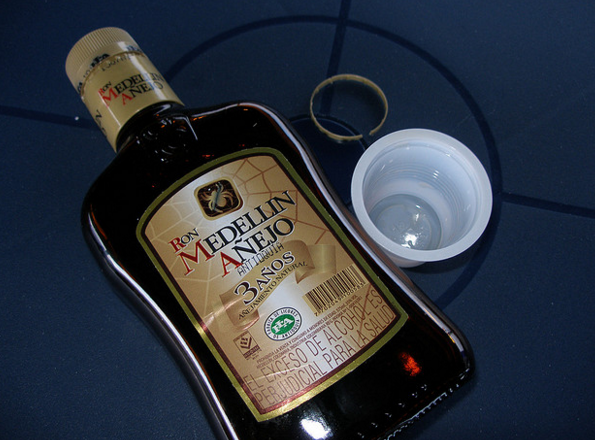 Ron Medellin is one of the most widely bought liquors in Medellin today. Whenever I drink rum, I prefer mixing it with Coke. Paisas, on the other hand, love drinking it straight or on the rocks. This brand of rum is sold at different points in the aging process. You can usually find it aged 3, 5, 8, 12 or 30 years. My personal favorite is the rum that has been aged for 12 years. I haven’t had the opportunity to try the 30-year-old variety yet. A bottle of Ron Medellin that has been aged for 3 years will run you about 24,000 Cop, which would be less than 10 dollars! Yeah, I know! Living in Medellin sounds great, right? 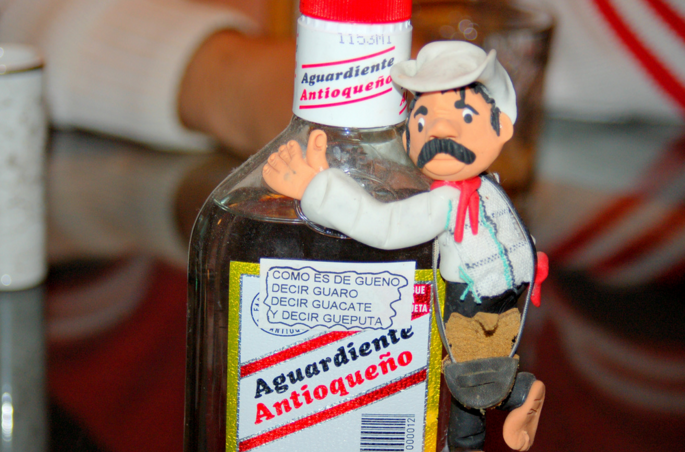 Aguardiente is Colombia’s official national drink. It is traditionally made from sugar cane and anise; the name literally translates to “burning water,” but the flavor is actually quite pleasant and it goes down with surprising smoothness. Colombians love drinking this hard-hitting liquor straight! I had a friend from North Carolina living with me in Medellin last year, and we decided to go out for a few drinks. It was his birthday and he wanted to try aguardiente, so I bought two bottles in the club we were in. After two or three shots, he told me that the drink was a bit too “weak” for him, so he started taking a lot more shots. I told him that aguardiente seems to creep up on you after a while, but he ignored my advice and kept drinking. Halfway through the second bottle, he almost passed out! I literally had to pick him up and carry him to the taxi because he couldn’t even walk. 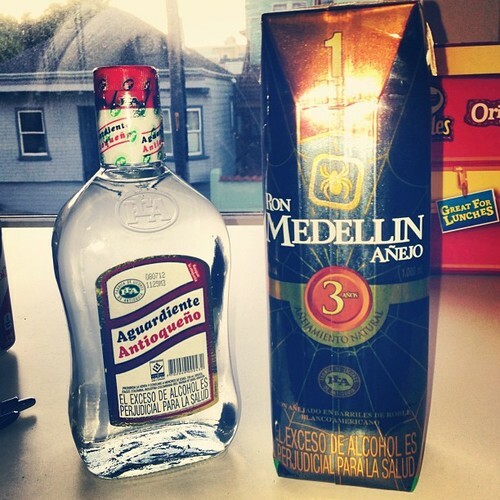 I hope every foreigner who is in Medellin and wants to try aguardiente is cautious. Living in Medellin is great! But it’s always good to be aware of how much you drink. Paisas are very friendly, especially when they drink. This means you have to be prepared to accept more than a few shots of aguardiente from fellow partygoers, as culturally, Colombians tend to get offended when you don’t accept a drink from them. So, whether you’re living here or renting an apartment in Medellin for a few weeks, take advantage of the strong dollar! The dollar is currently at 3000 Cop! 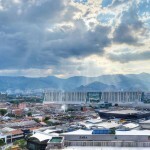 GoToMedellin offers short-term and long-term stays for travelers visiting Medellin. Our luxurious penthouses make for excellent apartment rentals in Medellin. Contact us for more information about renting an apartment in Medellin or buying an apartment in Medellin.